MOSCOW, March 30. /TASS/. Russia’s Emergencies Ministry and prosecutors have inspected nearly 800 shopping malls in the Central and Volga federal districts in the wake of the fire tragedy in the Siberian city of Kemerovo, the ministry’s press service told TASS on Friday. «During the checks, more than 2,700 violations of fire safety rules were detected,» the press service said. The commonly found violations were disorderly evacuation routes, the usage of combustible materials, the lack of fire safety instructions and poor knowledge of fire safety rules by the personnel, as well as inactive fire extinguishers and alarm systems. Most violations were found in the shopping malls of Kirov, in western Russia. No breaches were reported at 41 facilities in two federal districts. The fire safety checks are ongoing. 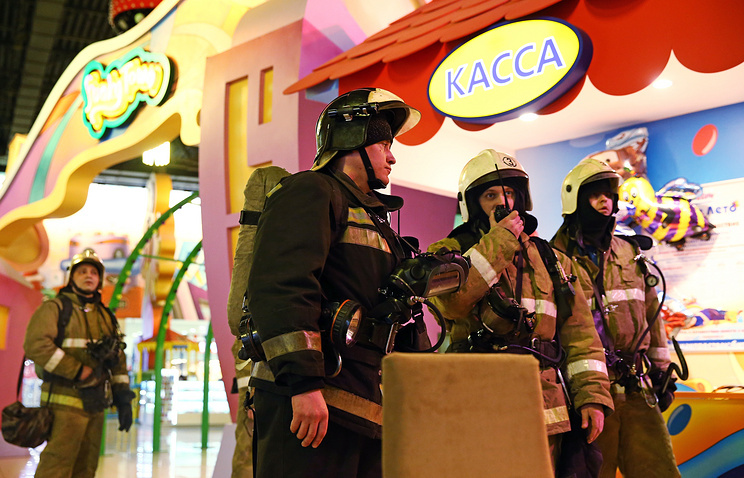 Russia’s Prosecutor-General’s Office ordered fire safety checks at all shopping malls with entertainment centers across the country in the wake of the deadly blaze in Kemerovo.